Commonly referred to as ‘The City of Lakes’, it seems like Udaipur city has got a new name for itself ‘the city of gardens’. The city has got some lush green gardens that appeal to the aesthetic sense of any viewer and a recent addition to its list of beautiful Parks is the ‘Golden Park’. The newly formed park is a neighbor to popular tourist attractions like ‘Jungle Safari’ and the famous ‘Pratap Park’. The park was inaugurated on 23rd December by Home Minister Gulab Chand Kataria. 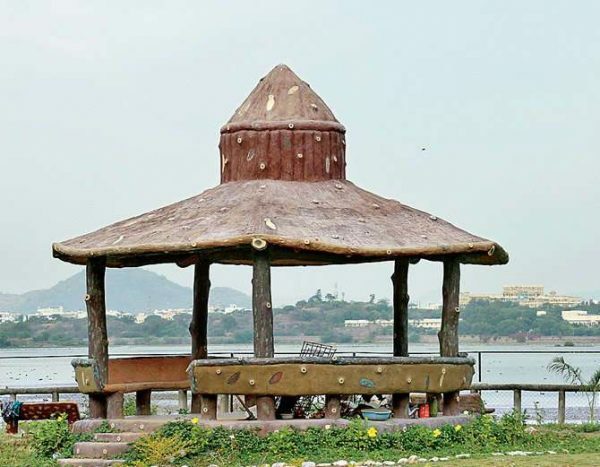 The mesmerizing garden is located at Sisarama road on the banks of Lake Pichola and is home to scenic hills, meadows, playgrounds and herbal garden. Built with a budget of Rs. 46 Lakhs, the Park is spread around 2 hectares said to be a discovery of Home Minister Mr Gulab Chand Kataria. One amazing fact about the park is that during sunset as the sun rays fall on the park, everything turns into shimmery gold and gives an enticing view. The park has become favorite among the localities as it offers pleasing view complimented with an eco-friendly environment. The park has been made keeping in mind the interest of children and for this purpose wooden sculptures of different species of animals have been placed in the park to amaze the children and to further increase their knowledge. Set against a backdrop of woodland, you will find a mix of formal and informal planting. This is good news for every Udaipurite as the city just added another feather in its cap. 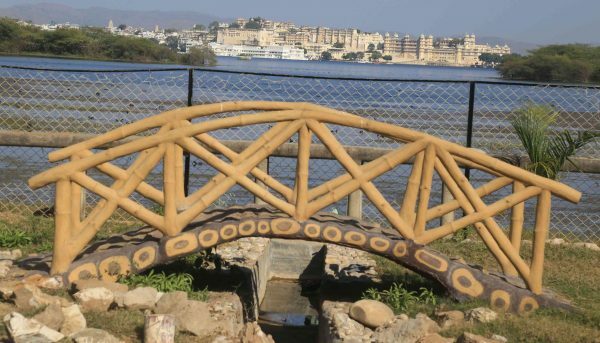 If you are a tourist in Udaipur, definitely visit this place. Have you visited the ‘Golden Park’ yet? How was your experience? Do tell us. We would love to hear from you. Previous articleIdentify These locations in Udaipur!!! !